We started off the day like most, bright and early, as we made our way to Museo Leonardo da Vinci. 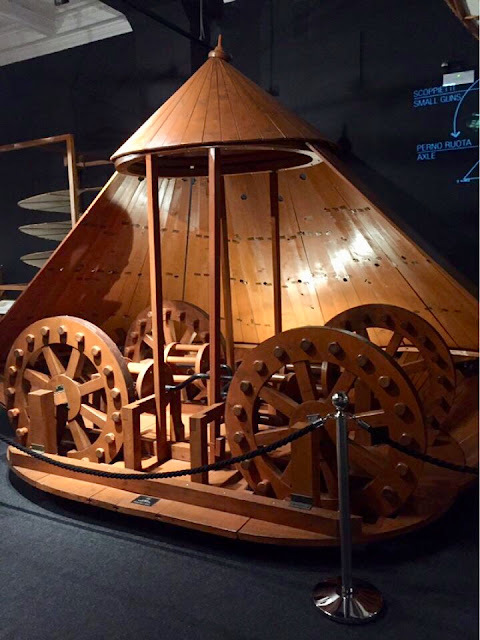 The museum featured models of Leonardo’s novel inventions, design sketches, and art reproductions. Models included a clock, tank, scuba gear, and numerous flying machines. It was interesting to bridge the gap between the designs we read about in “Leonardo da Vinci” by Walter Isaacson and the interactive models from the museum. 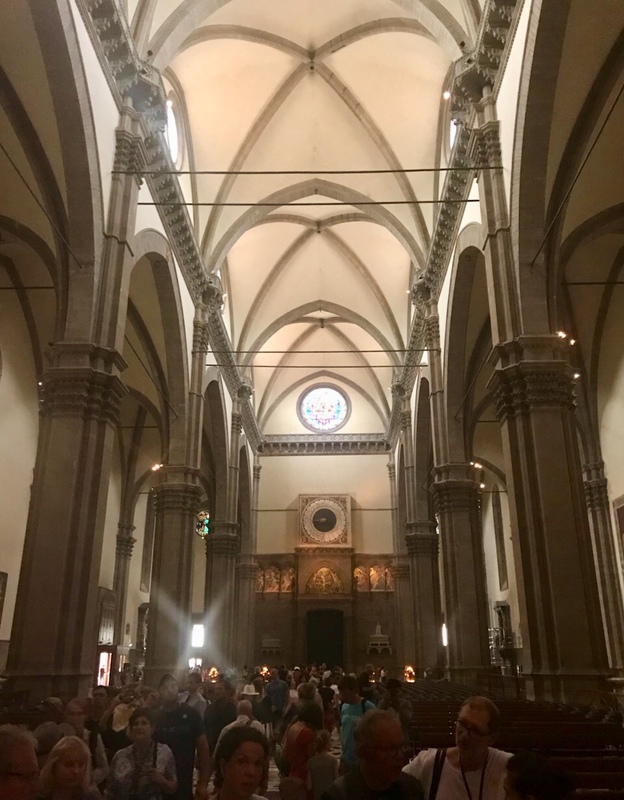 After the museum, we separated into several groups and ventured out into Florence for our last day. Some shopped and ate lunch around Piazza del Duomo, others wandered about the city, and another group toured the inside of the Florence Cathedral. 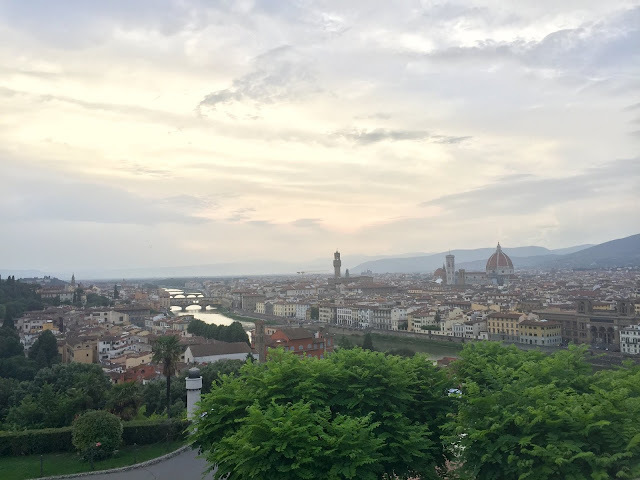 Later in the evening, we reconnected and hiked to Piazzale Michelangelo for a picturesque view of Florence, the Arno River, and sunset. Following our walk to Piazzale Michelangelo, the rest of the evening was dedicated to getting dinner and roaming the city. Many ensured they ordered a famous Florentine steak before our departure to Rome the next morning. 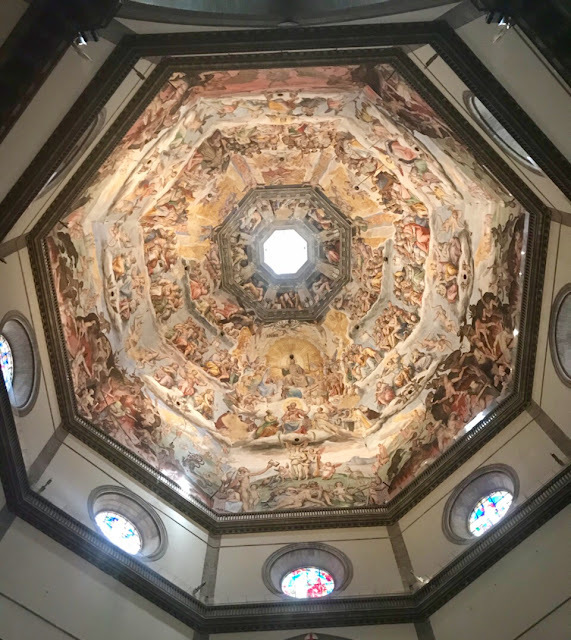 It is safe to say it was a great last day in Florence!